Because of the work I do, I spend significant time reflecting on my own life and career experiences. I have also had the privilege of working with many hundreds of coaching clients. As a result, I have come to realize the significant impact that our learned systems have on the dreams we are willing to dream, the challenges we take on, and the goals and results we strive to achieve. We all have systematic ways in which we interact with ourselves, others, and the world. These systems are learned along the way. For the most part they run in the background without our being aware. With self-awareness, we can interrupt them, we can evaluate their effectiveness, and we can change them. The interacting elements of our learned systems are our beliefs, perceptions, habits, expectations, and assumptions. 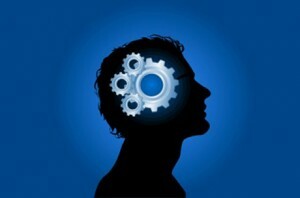 When you are aware of your learned systems, you realize you can create new beliefs and perceptions. With new beliefs and perceptions, you have new expectations and assumptions. With your new expectations and assumptions, you experience a change in attitude. Your changed attitude facilitates new thoughts and behaviors and supports the creation of new habits. New thoughts, behaviors, and habits can transform your leadership presence and results. You experience yourself becoming the person and leader you aspire to be. It is not a question of whether your beliefs, perceptions, habits, expectations, and assumptions are right or wrong. It is a question of whether they are working or not to produce the change and results you want. When you are not getting the results and change you want, and realize it is your learned systems generating your reactive thoughts and behaviors, you can change.